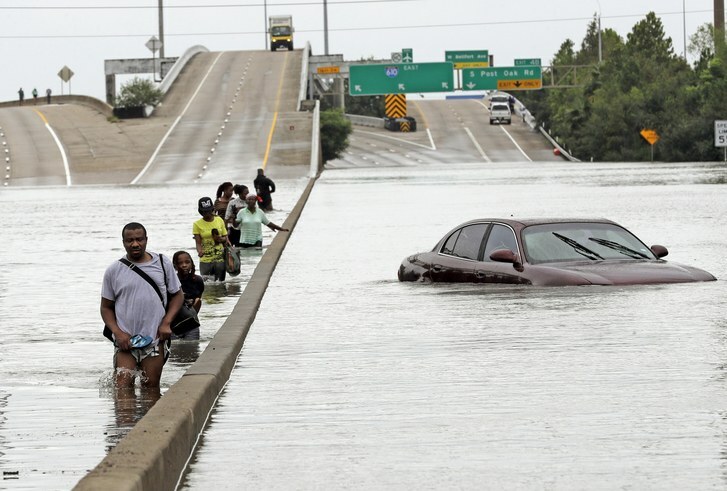 By now you’ve probably heard of Hurricane Harvey—the devastating hurricane causing massive amounts of flooding on the coast of Texas and part of Louisiana. Many have seen the photos of people wading through waist-high water or flooded homes. The Prep community is filled with so many people who are always ready and willing to offer help. If you’ve donated to our yearly Rice Bowl or food shelf funds, consider donating to help Hurricane Harvey victims! Though it may be tempting to donate clothes or food, philanthropy experts say money is most efficient and effective offering a person could make. Catholic Charities, The Jewish Federations of North America, and the Center of Disaster Philanthropy are places you could consider making an online donation. To help young children, Save the Children has a fund for distributing toddler and infant supplies. To help animals, check out the San Antonio Humane Society, the Houston Humane Society, and the Society for the Prevention of Cruelty to Animals of Texas. Finally, crowdfunding sites GoFundMe and GlobalGiving have both set up pages for a Hurricane Harvey relief fund. One thing to remember is that donations often peter off during the months following a disaster, when there is still work to be done, so consider waiting or donating more than once. Harvey has affected thousands, and the funds coming together are helping victims rebuild their lives.